A love story torn by swords... 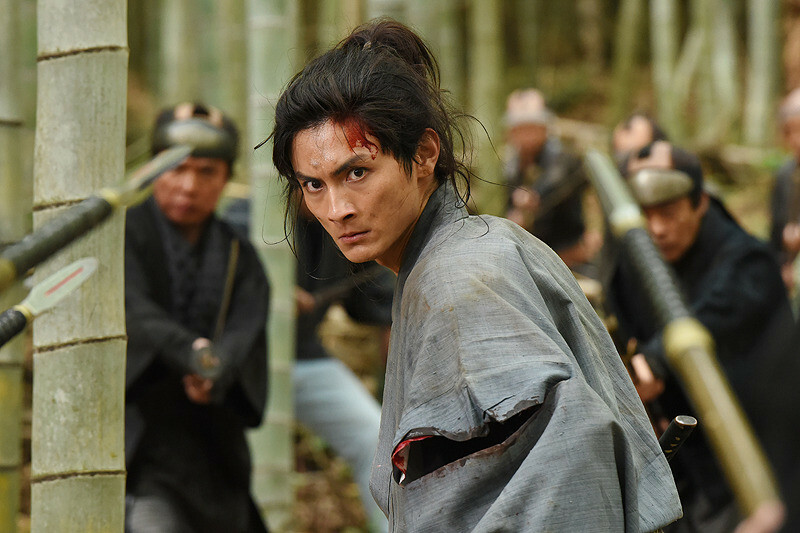 In Kyoto in the last days of Edo Period, the bloody conflict continues between local feudal domains, who aim to overthrow the Tokugawa Shogunate, and the Shogun's police and city patrol. Tajuro Kiyokawa, once the master of the sword but now a depraved samurai who left his domain putting aside his past ambition, barely makes ends meet. Toyo, a woman who runs a tavern next door, feels affection for Tajuro who guards her place from nasty customers, but he never realizes Toyo's feeling... One day, Kazuma, a half-sibling of Tajuro, came to Kyoto to count on his brother. Kazuma has always looked him up and believed that Tajuro left the domain to pursue his ambition to conquer the shogunate. The city patrol finally finds Tajuro, the one marked as a subversive, and attacks him. What fate awaits for Tajuro, Toyo and Kazuma after a battle staking their lives...?